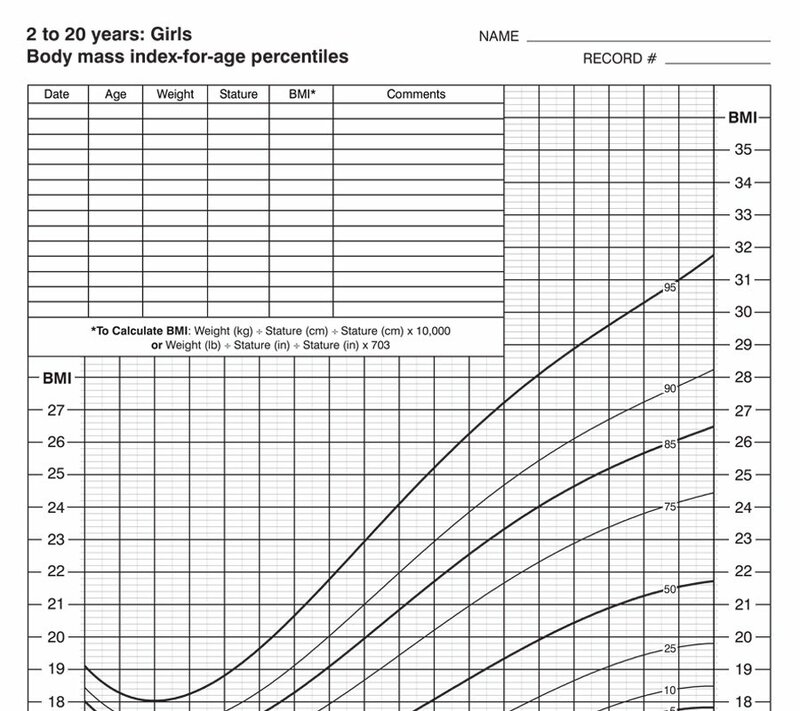 This chart provides normal weight and height development for girls from birth to 36 months. Percentiles represent how your child’s weight compares to other children of the same height. (i.e. 70th percentile refers to your child being heavier than 70% of all other children at her height). The Body Mass Index (BMI) is a measure of body fat based on height and weight for girls from 2 to 20 years. Percentages represent the appropriate amount of body fat a girl should carry based on her age and height. Consult your doctor for best results. 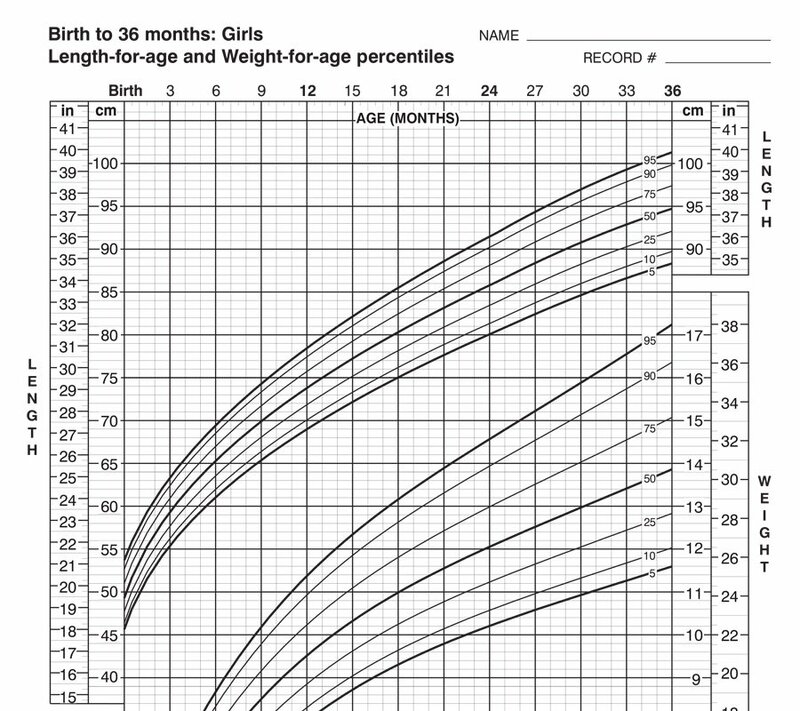 This chart provides normal weight and height development for girls from birth 2 years to 20 years. Percentiles represent how your child’s weight compares to other children of the same height. (i.e. 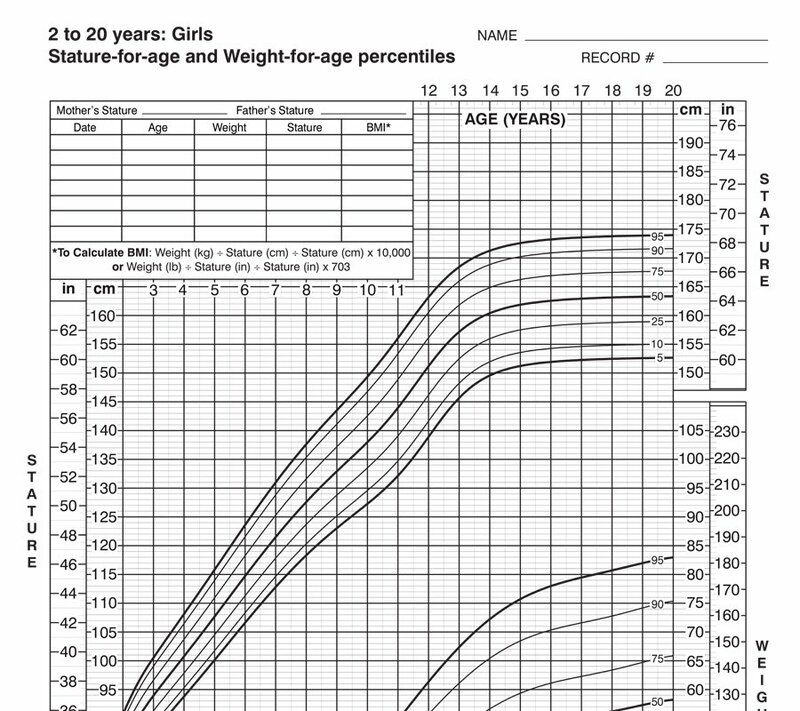 70th percentile refers to your child being heavier than 70% of all other children at her height). 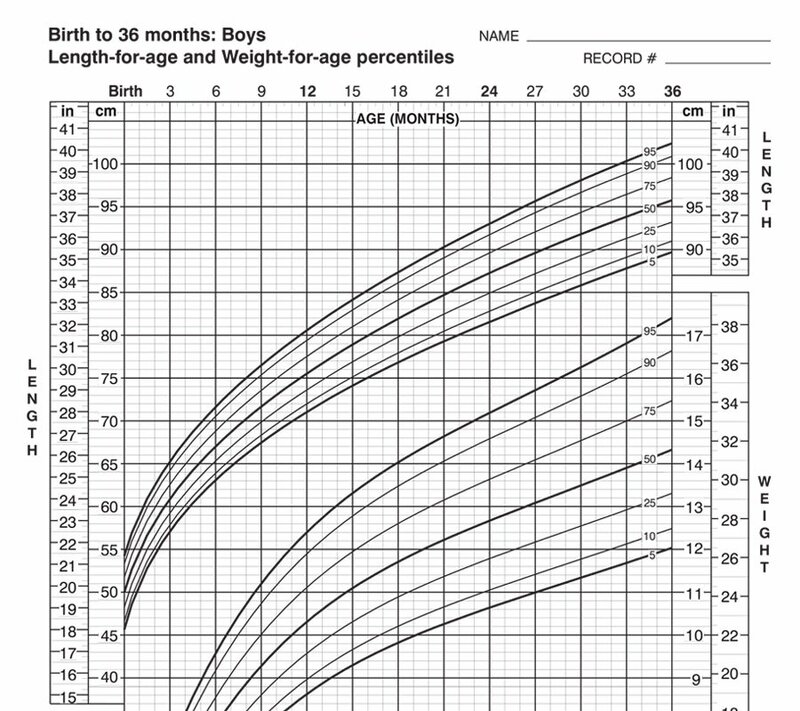 This chart provides normal weight and height development for boys from birth to 36 months. Percentiles represent how your child’s weight compares to other children of the same height. (i.e. 70th percentile refers to your child being heavier than 70% of all other children at his height). The Body Mass Index (BMI) is a measure of body fat based on height and weight for boys from 2 to 20 years. Percentages represent the appropriate amount of body fat a boy should carry based on his age and height. Consult your doctor for best results. 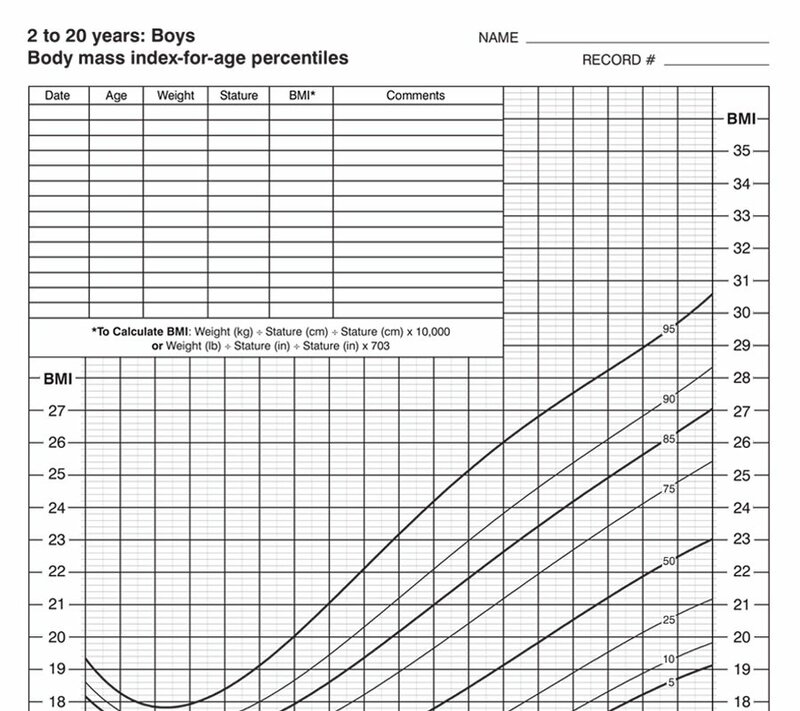 This chart provides normal weight and height development for boys from 2 years to 20 years. Percentiles represent how your child’s weight compares to other children of the same height. (i.e. 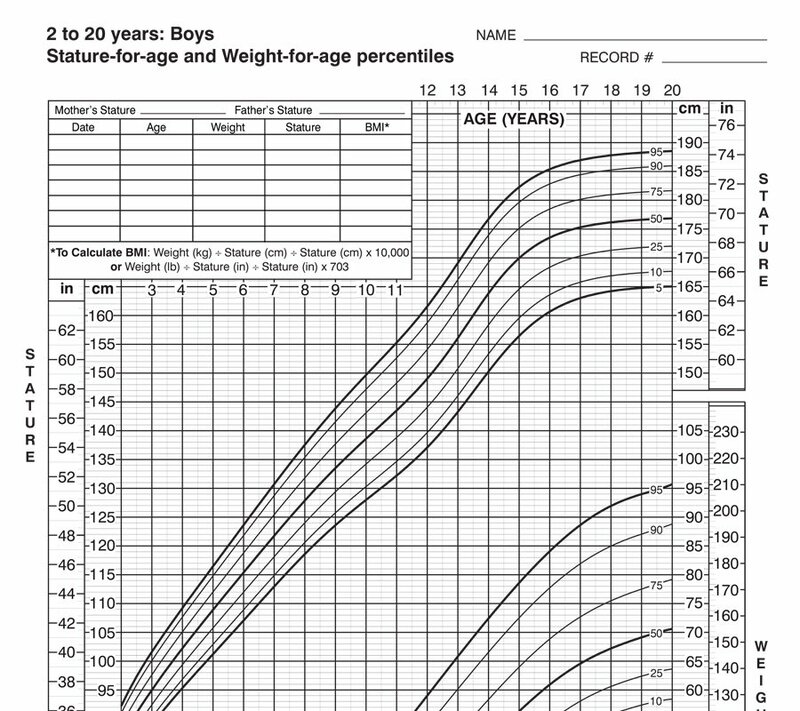 70th percentile refers to your child being heavier than 70% of all other children at his height).